Qualifying standards for the Boston Marathon were stiffened last year by five minutes across the age and gender categories or the iconic Patriot’s Day race. Now, less than six months before the 2014 race a new type of qualifying has been adopted by the host Boston Athletic Association, writing. The B.A.A. will issue a limited number of invitational entries for the 2014 Boston Marathon for those who were most impacted by the events of April 15, 2013. Those who have a special connection to the events of April 15 and who would like to be considered for an invitational entry, may submit a request to the B.A.A. Submissions will be collected entirely online at www.baa.org and must be typed in 250 words or less. The B.A.A. will not accept photos, videos, or other non-written material. Requests will be reviewed by a selection committee appointed by the B.A.A. and decisions will be made in the sole discretion of the B.A.A. Submissions will be accepted between Monday, November 18, 2013 at 3:00 p.m. ET and Wednesday, November 27, 2013 at 5:00 p.m. ET. Notifications and decisions will be issued on December 4. 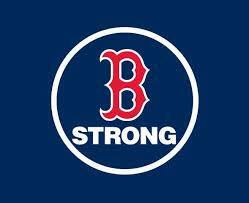 The 118th Boston Marathon will be held on Monday, April 21, 2014. On-line submission of entry as discussed above. 18 years of age by Monday, April 21, 2014. The selection of applicants to receive these entries rests exclusively with the Boston Athletic Association. Decisions of the B.A.A. in this selection process will be final. The invitational entry fee of $325 USD is required. Please note that neither a Boston Marathon qualifying performance nor fundraising will be required for these invitational entries. The B.A.A., in cooperation with the Commonwealth of Massachusetts and the eight cities and towns along the route, has increased the field size for the 2014 Boston Marathon, and the B.A.A. previously announced on Thursday, August 29 that the field size for the 2014 Boston Marathon has been set at 36,000 official entrants, including the invitational entries selected by the B.A.A. through the submissions solicited by this announcement. Registration for qualified runners closed on Friday, September 20, 2013. Among the field size limits that the B.A.A. employs for the safety of all, certain field size limitations apply to athletes competing with disabilities. As a result, if you are an athlete who would compete with a disability–which includes athletes in push rim or hand crank chairs, athletes whose mobility is impaired in walking or running, athletes pushing another person in a wheelchair, and others– we ask you to contact us at athleteswithdisabilities@baa.org in advance of submitting your request so that we may determine the extent to which space remains available. This is, as noted above, a rule designed to help assure the safety of all of the tens of thousands of athletes in the field. For more information on registration for the 2014 Boston Marathon, please click here.